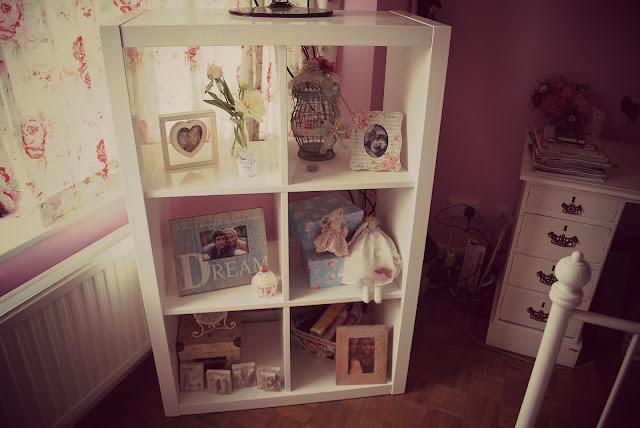 I'm a bit interior-obsessed so I thought it was about time I did a little peek into my room. That, and the fact Fashion for Home are running a 'Home Love' photo competition in which you post pics of your favourite room, the prize being a not-too-shabby £500 to spend at Fashion for Home. 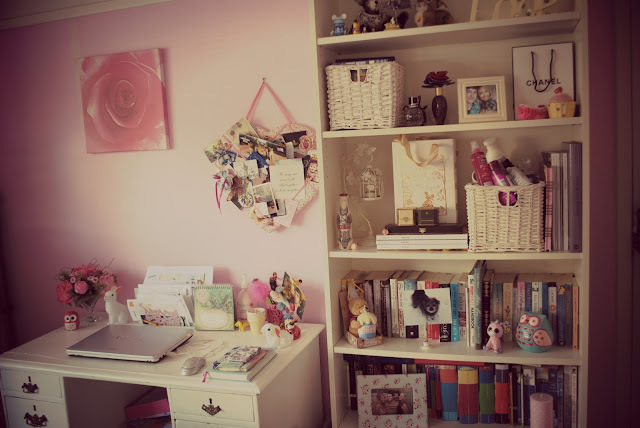 I'm getting really into my competitions at the minute, and seeing as I've always wanted to do a 'room tour' type post, I thought why not?! 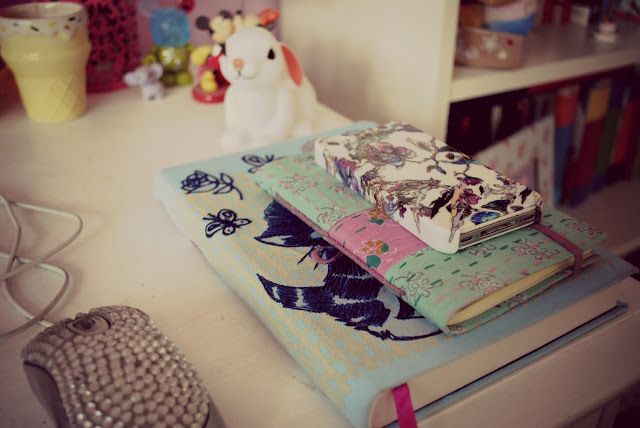 Like my fashion sense of style, when it comes to interiors I'm obsessed with girliness and florals. 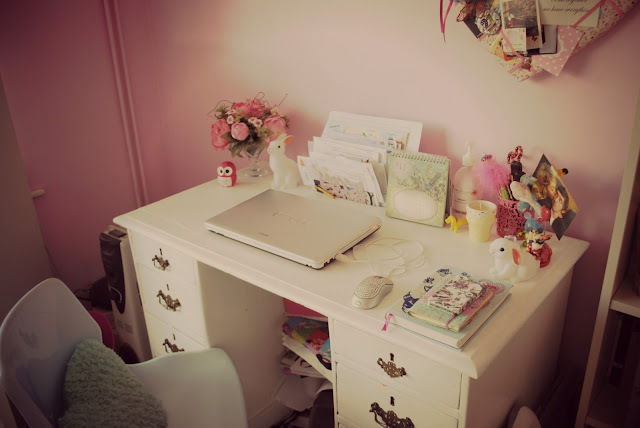 I have a love for vintage and shabby chic, adore white furniture and love having cute little knick knacks dotted around. 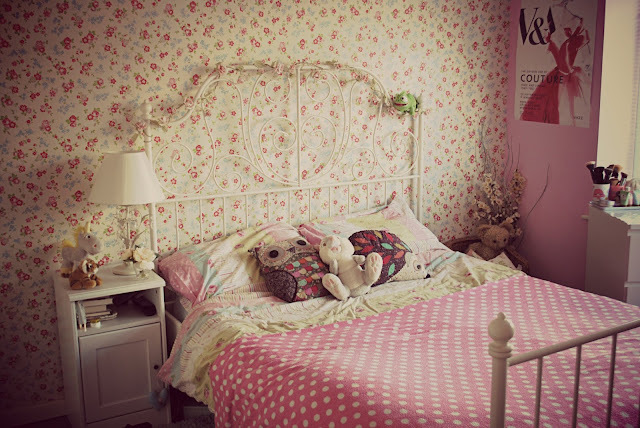 I've had a love affair with Cath Kidston for years, meaning that my room is very much decked out in floral decor. Some might call it complete granny-chic, but I LOVE it. 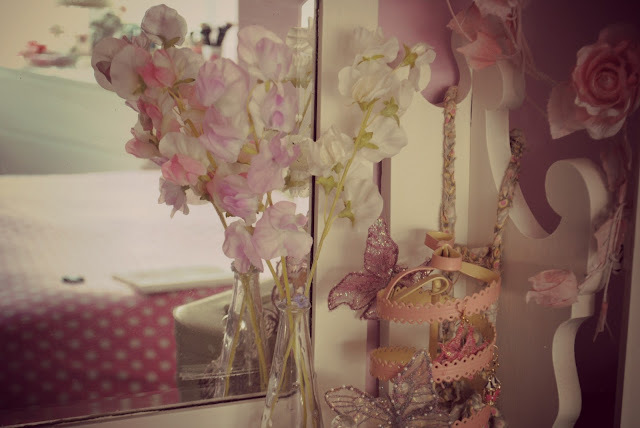 I drape flowers wherever I get the chance, have embroidered butterflies and birds perched on various areas of my room, and can't resist a bit of bunting. 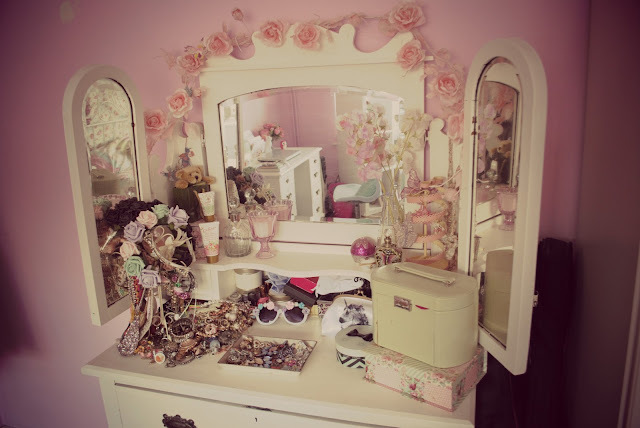 Unfortunately, I didn't get to show you ALL of my room in this post as my window-area is being redone and so is a bit in disarray at the moment, meaning I couldn't show you my beloved makeup area. However I'll hopefully do another post similar to this in the future, as I just love having a nose round peoples' houses and I'm sure you do too! I'm thinking of maybe popping in some info on shops I recommend going to for pretty-yet-affordable bits and pieces, if that is something you guys would be interested in? 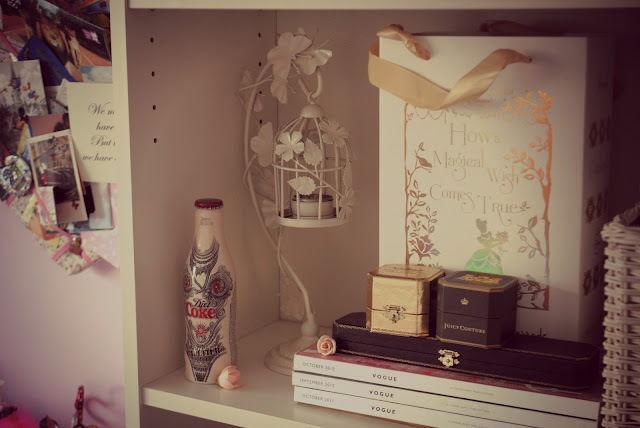 I hope you enjoyed a little peek into my room and let me know if you've entered the Fashion for Home competition too. Typical me left entering to the very last minute, as it closes at midnight tonight! Eep!